Opel and Europcar have announced an agreement to introduce the Opel Ampera as a rental car throughout Europe. With the market introduction of the electric Opel Ampera by the end of 2011, Opel will create a new segment in the European automotive market and underline its role as a trendsetter for innovative mobility solutions. The two companies are joining forces to broaden the range of people that will be able to access electric vehicles, capitalising on the Ampera's launch. The goal is to deploy the first vehicles in Europcar rental outlets in Germany in November of this year, followed soon afterwards by Belgium and the Netherlands. The Opel Ampera will then be rolled out throughout France, Italy, Portugal, Spain and the United Kingdom from the beginning of 2012. "Electric cars are among the best long-term solutions to meet society's energy and environmental challenges. 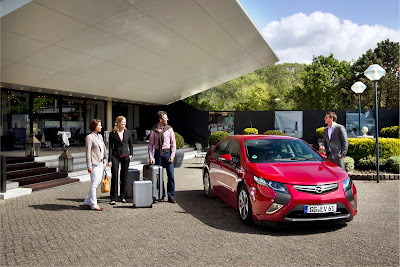 The fact that Europcar is going to introduce the Opel Ampera to its day-to-day business is further proof that our extended-range electric vehicle is completely suitable for everyday use – even as a fleet vehicle in the tough rental car business", says Opel/Vauxhall Vice President Sales, Marketing & Aftersales Europe, Alain Visser. The Ampera is as easy to drive as any other car. The electric vehicle also offers a number of intelligent functions that help the driver to operate the vehicle highly efficiently. 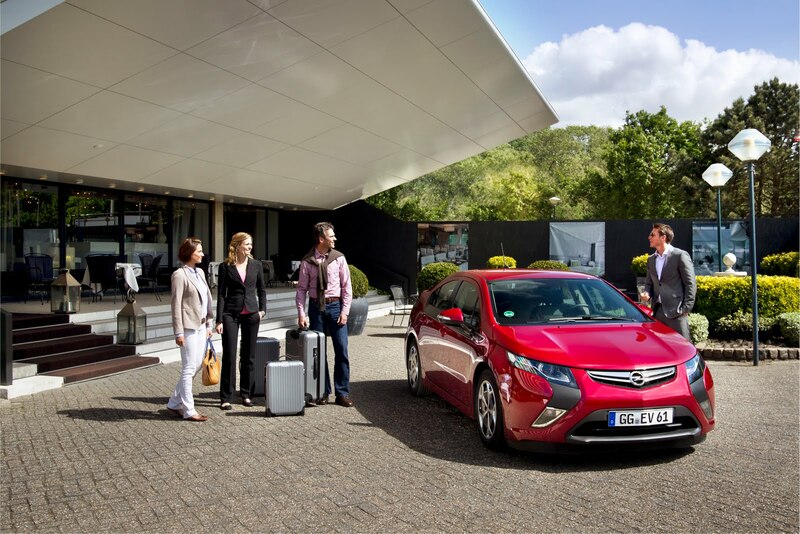 Opel and Europcar have together created a comprehensive introduction to the Ampera to present these features to rental customers. On booking, customers are advised to plan 10-15 minutes for the handover to accommodate this. Trained Europcar employees will explain a range of topics including battery charging, the range extender, as well as other special functions and features such as the energy consumption and energy efficiency displays. In addition, customers will receive advice on energy-efficient driving in battery operation and how to recuperate energy when braking. Customers will also have the opportunity to give feedback through online chats and questionnaires.